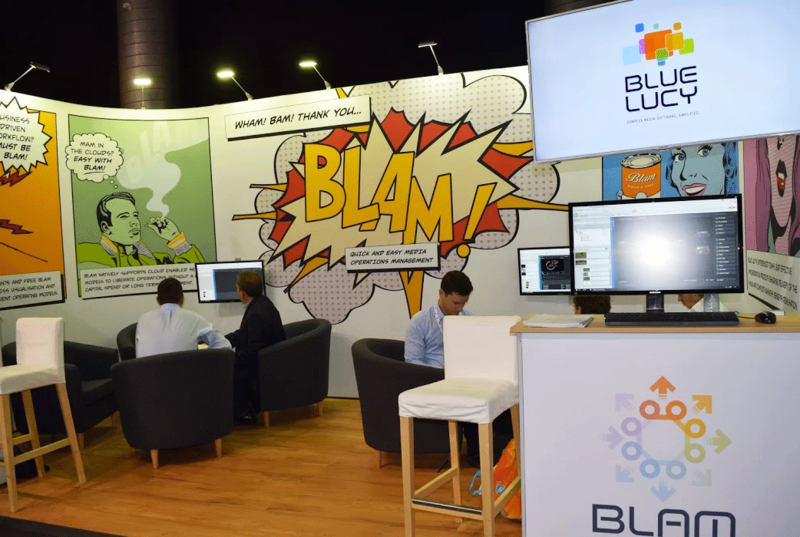 We designed Blue Lucy's exhibition stand, posters and competition scratch cards for IBC 2016 in Amsterdam. 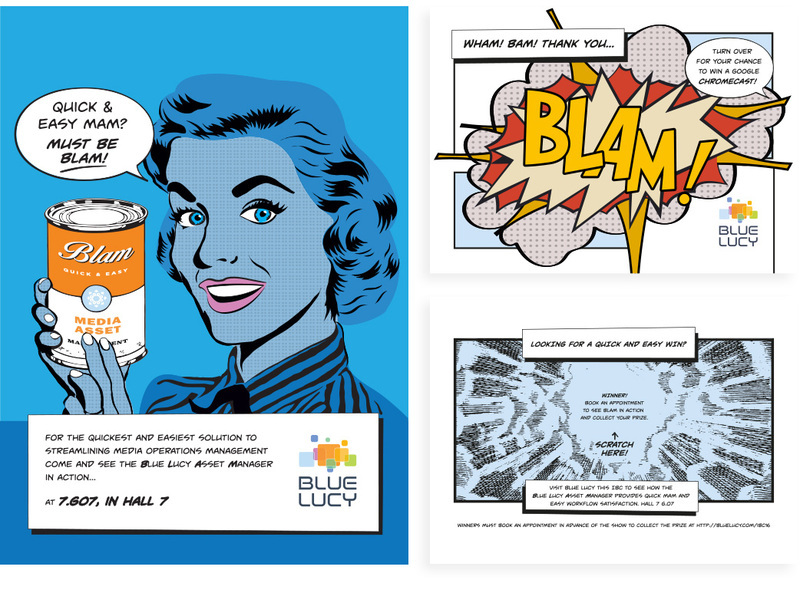 We took inspiration from their main product's name B.L.A.M for the Lichtenstein / comic book inspired style. 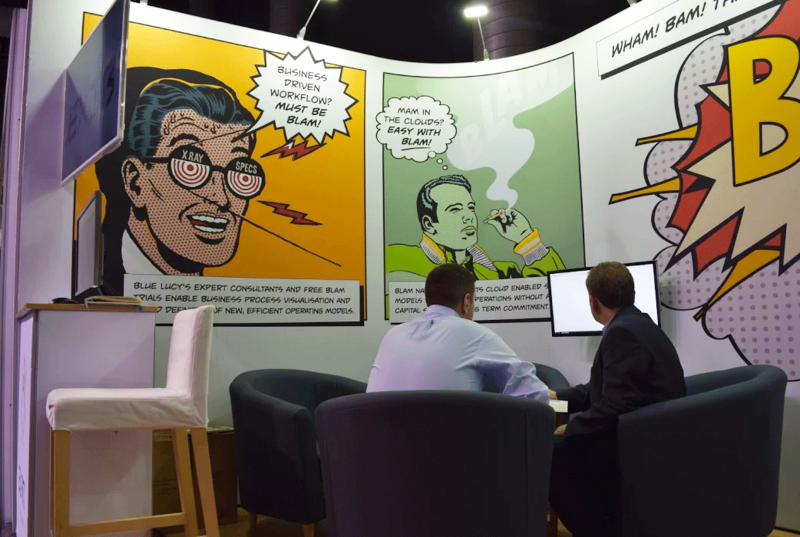 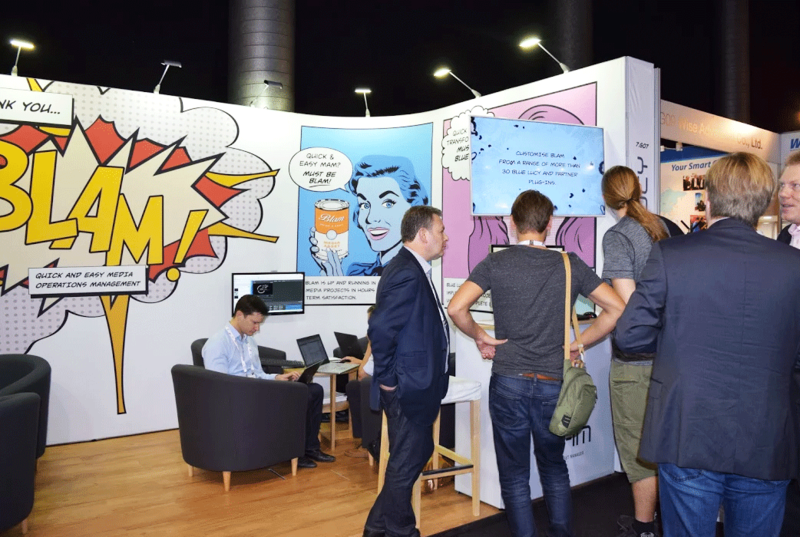 We also produced some animated videos that were shown on the screens around the stand.